Founded in 2000 in Anfi del Mar in Gran Canaria by a group of good-willing Scandinavian patrons, in particular the world famous 2.4mR boat designer and builder Peter Norlin and Skota Hem Foundation from Sweden, the veteran 2.4mR boat builder Ingmar Björndahl from Finland and Ernst Torp and his friends from Norway, promoters of integrated sailing. 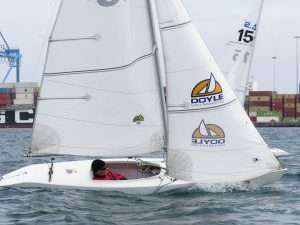 The ICI-Sailing Club is an international sailing club which provides opportunities for sailing outings in the Las Palmas harbour side near-shore waters with 2.4 mR sailboats. The Club is hosted by the prestigious Real Club Náutica de Gran Canaria with its luxurious settings, excellent facilities and cordial staff. The sailing season is from mid-November till mid-March offering exceptional possibilities for prolonging sailing into the heart of winter in summery weather conditions. 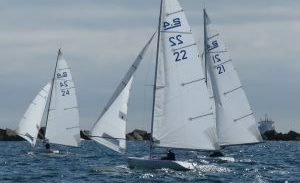 The fleet consists of eight 2.4mR boats managed by the ICI-S Club. The boats are perfectly similar allowing the organisation of fun regattas or even of serious match racing, or just to enjoy near shore sailing in protected areas close to the Real Club. 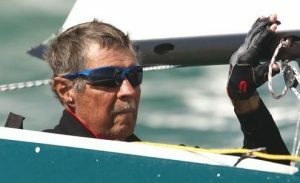 These fully equipped one-man boats are perfectly suited for sailors of both sexes and of all ages and persons with disability, easy to sail for beginners but also challenging even for the weathered master sailor. Easy to learn, fun to sail and an endless challenge! The 2.4mR was originally designed as a reduced model of the famous Americas Cup 12mR boat, and has been constructed so that it can neither capsize nor sink. As such, it is perfectly suitable also for sailors with disabilities for which the steering system can be adapted to be manual or with pedals. The ICI-S Club has also a lift to facilitate boarding the boat. Easy and fun to sail and also a real regatta sailing class boat! On the web site of the International 2.4mR Class Association you will find information on the 2.4mR Class, the National Associations, tuning guides, practical information etc., all you need to know. The web address below is not a link, copy it to your browser. Lots of fine tuning possibilities, but when sailing, you only need two or three trimmings. The 2.4mR is a thoroughbred racing machine that lets you tweak every aspect of sail plan and rig trim. 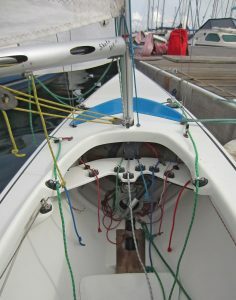 The boat is easy to learn to sail thanks to a simple and ergonomic layout where all the adjustments are readily at hand. The 2.4 metre is a true ballast keel yacht, so everything you learn sailing it you’ll be able to put to use in any bigger yacht. 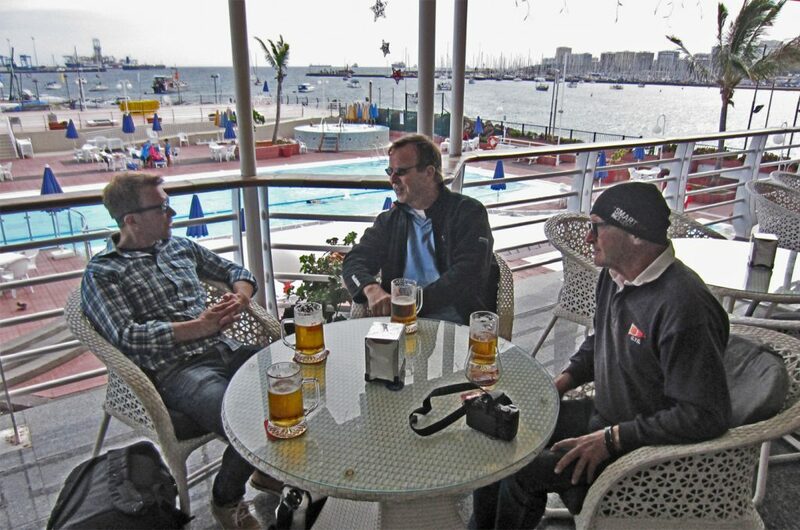 ICI-Sailing Club is hosted in Las Palmas by the prestigious Real Club Náutico de Gran Canaria. The members of ICI-S Club are the invitees of the Real Club during their sailing programme for a maximum of a week at a time. The number of invitees at a time is limited to ten. The club offers restaurant and bar facilities, dressing rooms, showers and a sauna. There are lifts for disabled persons. The invitees are requested to register at the Nautical office of the Real Club at their arrival. In order to have a pass to the Real Club, they have to possess a valid ICI-Sailing membership card. The Real Club requires the name, passport number and the dates of use of the boats at the latest one day before arrival. The requested information is to be provided when you reserve a boat.. The boats are available at the Real Club with the guidance of the harbourmaster of the ICI-Sailing Club. When not in use, the boats are parked on ground on caddies with masts unrigged. The sailors are to rig themselves the boats and put them afloat. The Real club staff will operate the crane. The RCNGC nautical officer will provide space in the RCNGC peer for mooring the boats. After the sailing, the boats are again parked on the ground on their caddies in dedicated places and cleaned and unrigged by the sailors. The Real Club staff will lift the boats out of water.